Alfonso Cuarón has become the first Latino to win the Oscar for Best Director, winning it for the sci-film Gravity. Cuarón beat fellow nominees David O. Russell, Martin Scorsese, and Alexender Payne, all Americans, and Steve Mc Queen and a Brit to win the Oscar at the 86th Academy Awards. The director was the hot favorite to win the Best director Oscar, having won the Golden Globe, the Director’s Guild of America award and the BAFTA. 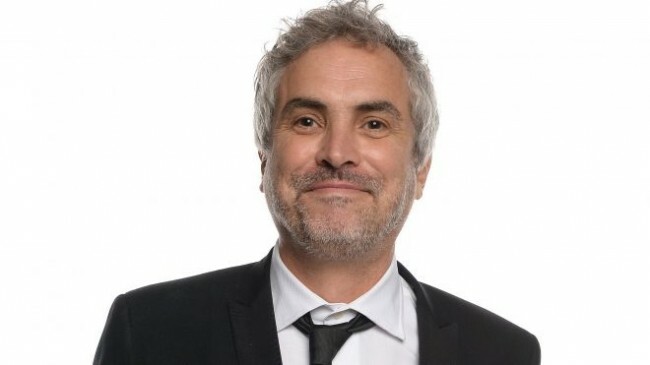 Cuarón, a Mexican, was the fourth Latino to be nominated in the Best Director category after Hector Babenco for Kiss of the Spider Woman, Fernando Mereilles for City of God and Alejandro Gonzales Inarritu for Babel. The Oscar for best director was not Cuarón’s first Oscar either, he won for best editing for Gravity earlier on in the night. Gravity tells the story of Dr. Ryan Stone, played by Sandra Bullock, whose shuttle is destroyed in Space. George Clooney also stars in the movie as astronaut Matt Kowalsky. Cuarón himself, dreamed of being an astronaut when growing up and his love of space is evident in the beautifully shot science-fiction space drama. It only took Cuarón seven feature films to become the first Latino to win the Best Director Oscar. His previous works included the highly successful Y tu Mama Tambien and Harry Potter: The Prisoner of Azkaban. It was also his first feature film since Children of Men in 2006, for which Cuarón received an Oscar nomination for best adapted screenplay. That year, he was also nominated for best editing for the same film. Four years before, in 2003, he was nominated for best original screenplay for Y tu Mama Tambien. Becoming the first Latino to win the Best Director Oscar was an emotional moment for Cuarón. In his speech, he gave a special thanks to Sandra Bullock, telling her she was the film. He also thanked the two administration teams at Warner Bros who were involved in the production, a reference to the years it took to get it made. Those years were a transformative experience, Cuarón said. He then joked that for many involved in the film the transformation had been wisdom while for him it has been the color of his hair. Cuarón went on to end his speech with some words in Spanish to those closest to him, as the occasion overwhelmed him. Understandably too, considering the magnitude of Cuarón’s achievement of not only winning the Oscar, but for becoming the first Latino to win the Best Director Oscar. Cuarón received a tweet offering congratulations from the Mexican president after receiving the award and said he hoped the win would help bring more Mexican filmmakers and culture into the limelight. The limelight is where Cuarón will be right now after his Oscar win, which could prove to be as transformative as the making of Gravity itself. Cuarón was already a very successful director both at home and abroad before becoming the first Latino to win the Best Director Oscar, however the Oscar will elevate him into the elite. That status might mean he does not have to wait so long for his projects to get made and it will increase expectations of his performance. Cuarón will next write a screenplay titled A Boy and his Shoe, a story set in Scotland, written alongside his son Jonas. That project will be eagerly awaited by movie fans keen to see if Cuarón can deliver another film as poetically dramatic and successful as Gravity. 3 Responses to "Alfonso Cuarón, First Latino to Win Best Director Oscar"
I am Latin American and I hate the way that people in USA use the word latino. Afonso Cuarón was the first Latin American that won an Oscar not the first latino. The same with Pope Francis, he was the first latin American not the first latino.. There is something called latin America if you don´t know. So glad Cuaron won! This year he won every major award for directing, so it was no surprise when he also won the Oscar for Best Director. I look forward to seeing many more of his movies.